Did you know that you can get a master’s degree online? From a top university nonetheless? Thanks to online learning platforms and the available courses, there are plenty of online courses that will allow you to get a master’s degree without going to school fulltime. These online courses are run by top universities and are accredited in the same way offline courses are. With good time management and a proper set of goals to keep you motivated, you can pursue any master’s degree you want. You can get a master of science in nursing from Bradley University, qualify for that master of business administration you have always wanted, or even pursue a master’s degree in communications. 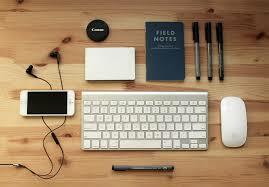 You also need these three gadgets to survive your online course. 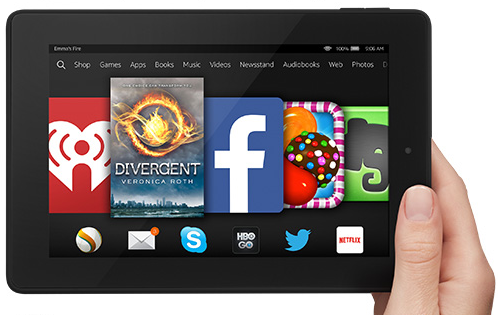 Don’t settle for an Android tablet or an iPad. You need a capable laptop or a hybrid 2-in-1 for the course. You will have to access course materials and the rest of the online learning platform to complete the course. You may also need to attend online classes or do a conference call with your lecturer. A laptop will handle all of those tasks without breaking a sweat. There are some interesting choices too. The new 12-inch MacBook (2016) comes with a more powerful processor and a very compact size. You can easily slip it into your backpack and take it with you anywhere. Other options such as the new HP Spectre and the oh-so-sleek Dell XP 13 are also among the best on the market. Next, you need a smartphone. Well, not necessarily a smartphone, but an internet-enabled device. You can carry a portable Wi-Fi router (a MiFi) or an LTE modem with you, but a smartphone works just as well. You can activate the built-in hotspot on your Android phone in a single tap; iPhones have the same feature too. You also need a working internet connection. Depending on the mobile service you’re on, you may need to activate a separate service plan to get 4G connectivity. 4G or LTE is always the way to go, since you will be able to download course materials and stream lecture videos smoothly with LTE connectivity. Last but certainly not least, you need an extra external hard drive. There are two reasons why this is an essential gadget to have. First of all, you need the space to store your files. Unfortunately, modern laptops now come with SSDs and limited internal storage. Picking up an external hard drive will help you get around that issue in an instant. Second of all, the external drive will also act as your backup drive. You can store course assignments and other important files in the cloud, but having copies of those files offline and ready for use is always a huge plus. External drives are now more affordable than ever. You can get 1TB of storage space for less than $50. These are the three essential gadgets you will need to survive an online master’s program. With these items in your backpack, you can study and complete the course from anywhere and at any time. Previous story How About The Magento Enterprise Development? Which Is The Best Tablet For Under 150 Dollars in 2015?